Located in the heart of New York City’s West Village, the Stonewall Inn is a historic bar famed as the site of the riots that helped launch the LGBT civil rights movement. At the time, police raids on LGBT bars were commonplace because it was illegal to serve LGBT people alcohol or for LGBT patrons to dance together. On Saturday, June 28, 1969, the New York City Police Department arrived at Stonewall, where approximately 200 customers were gathered. The raid resulted in a series of spontaneous–and at times, violent–demonstrations as Stonewall’s patrons heroically resisted arrest. According to the NYC LGBT Historic Sites Project, the bar, which at that time occupied both buildings at 51-53 Christopher Street, went out of business shortly after the uprising and was replaced by a number of eating establishments over the years. From 1987 to October 1989, a bar named Stonewall operated out of 51 Christopher Street, but when it closed, the historic vertical sign attached to the building’s facade was removed. The current Stonewall bar opened in 1990 at 53 Christopher Street (its name was changed from New Jimmy's back to Stonewall in 1991), and it has operated under the current management since 2006. 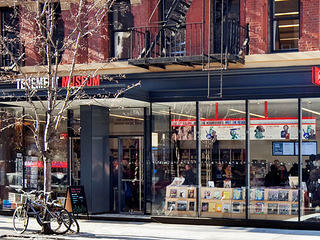 In June 2016, President Barack Obama designated Stonewall and the area surrounding it as the country’s first national monument dedicated to LGBT history. 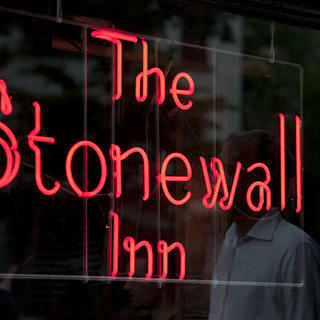 Visit the Stonewall Inn in New York City.